Rockstar has announced any PS3 or Xbox 360 gamers who currently or previously owned Grand Theft Auto V and pick up the new-gen versions on PS4, Xbox One or PC will be greeted with new activities and rewards. Seems good to me. We have detailed all the good stuff below. 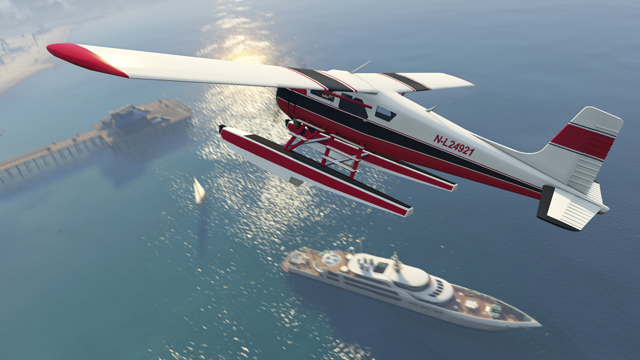 New Events & Rewards : New events will be happening throughout Los Santos and Blaine County. You will be faced with new challenges to unlock special rewards, such as the Imponte Duke O’Death car and the Dodo seaplane. Murder Mystery : You will be playing as Michael who takes on the role of a detective in a special mission where you must solve a grisly murder. Complete this successfully and you’ll unlock two noir-style filters for GTA V’s single-player mode. Bugsy Malone style pictures anyone? 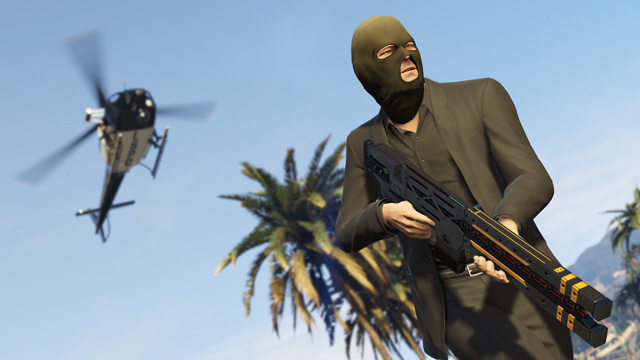 New Weapons : New weapons will be available as what’s GTA without them. First of all we have the high-velocity Rail Gun and a Hatchet melee weapon to carve your enemies up. Wildlife Photography Challenge : New species of animals have been found in Los Santos and Blaine County. 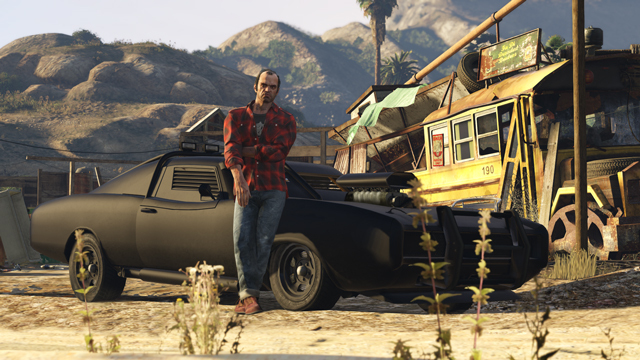 Playing as Franklin, you’ll take on a job from the Los Santos Tourist Board to document these. If you’re successful, you will unlock the Kraken Sub and you can then use this as you please. 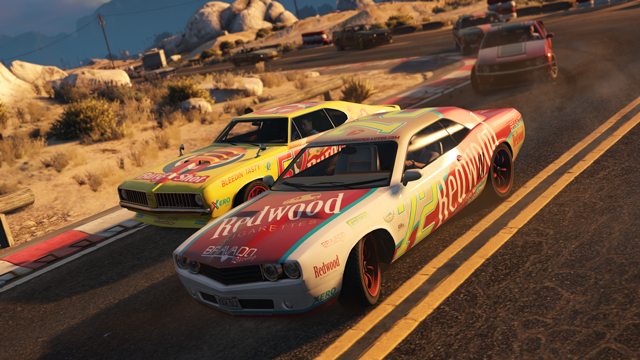 Stock Car Races : Win some races and you’ll earn yourself some custom-made muscle cars covered in company logo’s. Monkey Mosaics : A street artist has been busy tagging the walls of Los Santos wiith monkey-inspired silhouettes. Track them down and take photograph’s to earn new monkey outfits. The outfits will be for all players and if your returning to GTA V you will automatically receive a special Go Go Monkey Blista. 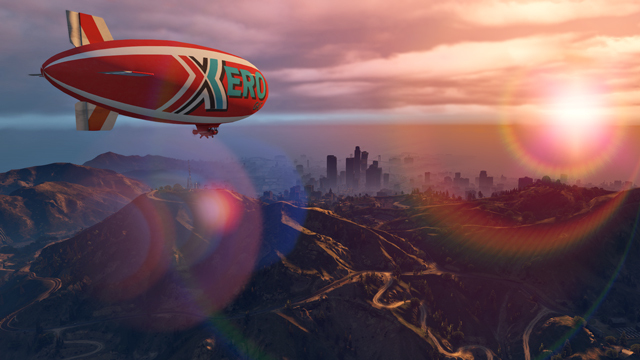 New Vehicles and More : Up for grabs for returning players is the Cheval Marshall monster truck which should be fun and a new Blimp from Xero Gas that is meant to be faster and more maneuverable. Rockstar also say’s that anyone who pre-orders the game will receive a bonus of GTA $1M ($500k for Story Mode and $500k for use in Grand Theft Auto Online. Rockstar also reminded players that your existing Grand Theft Auto Online characters will carry forward to Xbox One, PlayStation 4, or PC regardless of which platform you originally played on. That’s not all tho as Rockstar answered a series of fan questions today about the upcoming Xbox One, PS4, and PC versions of GTA V. All the questions and answers are below for you to view.